Asian Activities Report for July 1, 2011 includes: Cougar Energy (ASX:CXY) updated on projects in China and Mongolia; Advanced Explorations Inc. (CVE:AXI) announced positive voting results for the proposed Joint Venture with Xinxing Ductile Iron Pipes Co., Ltd (SHE:000778); Silver Mines Limited (ASX:SVL) announced the first drilling results from its 100% owned Webbs Silver Project; Bow Energy Limited (ASX:BOW) said today that the Cuisinier oil field in Queensland has produced more than 63,000 barrels of oil. Armour Energy Limited and its parent D&apos;Aguilar Gold Limited (ASX:DGR) are pleased to advise that Armour Energy has finalised a seed capital raising and agreement for cornerstone IPO participation by investment funds affiliated with Och-Ziff Capital Management Group LLC. 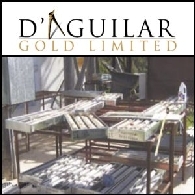 D&apos;Aguilar Gold Limited (ASX:DGR) are pleased to advise of the completion today of a A$10 million seed capital raising for Armour Energy, ahead of a planned A$50 million IPO later in 2011. 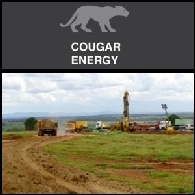 Bow Energy Limited (ASX:BOW) (PINK:BOWYF) are pleased to report that the second appraisal well on the Cuisinier discovery, will be cased as a potential Murta Oil production well. Cuisinier 3 is located in the onshore Cooper Basin, in Queensland, in Authority to Prospect 752P. 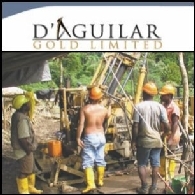 The well was drilled to a depth of 2040m and is located approximately 750m south of the initial Cuisinier discovery well. Bow holds a 15% interest in ATP 752P. 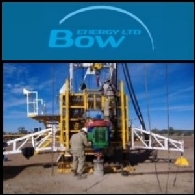 Bow Energy Limited (ASX:BOW) has undertaken an assessment of its operations in the Blackwater and Norwich Park coal seam gas (CSG) fields and has found only minimal damage to company infrastructure. Access to planned drill sites remains restricted and it is not currently possible to forecast when that access will be reinstated. 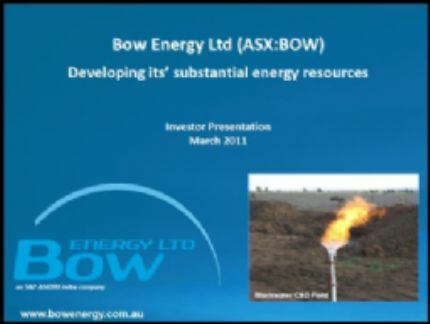 Bow Energy Limited (ASX:BOW) are pleased to announce that it has received applications for over A$36 million under its Share Purchase Plan. The final amount is subject to cheque clearances and application confirmations, however as previously advised, Bow set a cap of A$30.0 million for the SPP and therefore applications will be scaled back on a pro-rata basis. 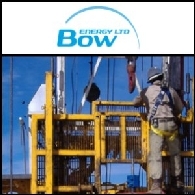 Bow Energy Limited (ASX:BOW) (PINK:BOWYF) is pleased to announce the Share Purchase Plan and has extended the closing date of the offer. Bow Energy Limited (ASX:BOW) (PINK:BOWYF) are pleased to announce that the second and final well in its 2010 onshore Australia drilling program, the appraisal well Cuisinier 2, located on the Barta sub-block (the "Barta Block") within Authority to Prospect ATP 752P has been cased to 2,037 meters total depth by the operator (Santos (ASX:STO) (PINK:STOSY)) as a potential Murta zone oil well. 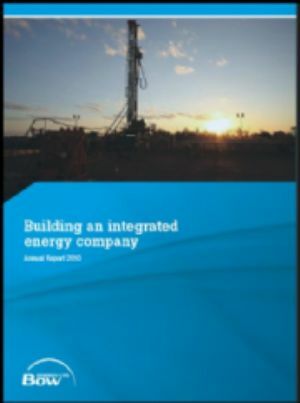 Bow Energy Limited (ASX:BOW) (PINK:BOWYF) is pleased to release Chairman&apos;s address to the annual general meeting. 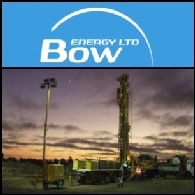 Bow Energy Limited (ASX:BOW) (PINK:BOWYF) are pleased to announce they have been advised by Santos Limited, the operator of the ATP 752P Farmin Joint Venture (15% Bow after farmin completed) , that the Barta North-1 oil exploration well encountered potential oil zones and has been cased and suspended for future testing next during the upcoming quarter.